called as Casting. This is of two types. The value can be converted by the compiler automatically, without using any extra statement. 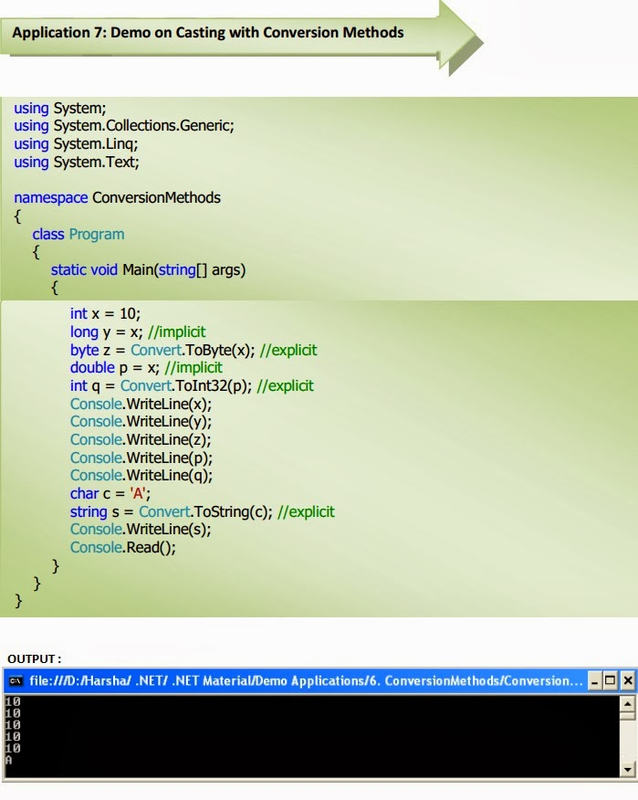 The value can be converted by the programmer using a conversion method. Implicit casting is possible in the following cases. Any numerical value from lower to higher type. Any numerical value from non-decimal type to decimal type. Any numerical value from higher type to lower type. Any numerical value from decimal type to non-decimal type. Any value from numerical type to non-numerical type. Any value from non-numerical type to numerical type. 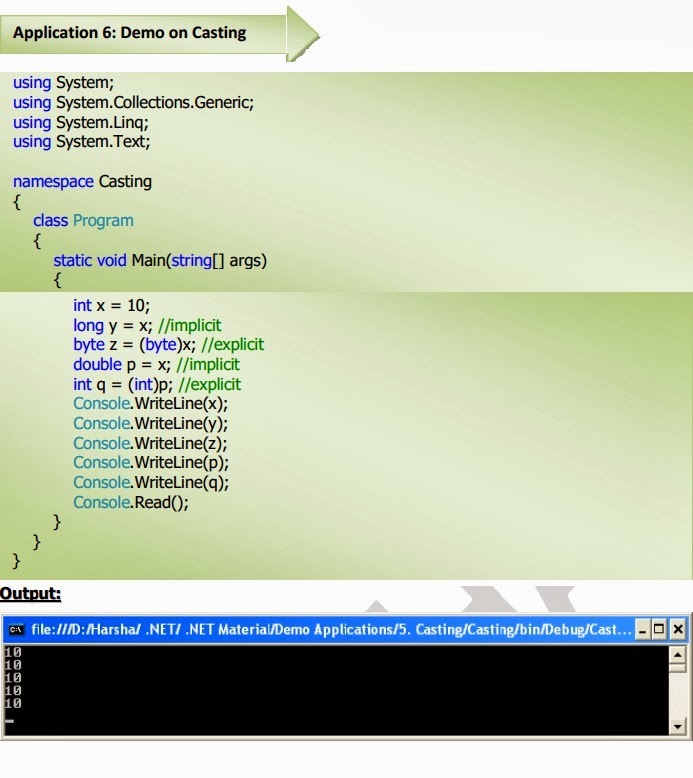 class provides several methods to perform explicit casting. Converts the value into "sbyte" type. Converts the value into "byte" type. Converts the value into "short" type. Converts the value into "ushort" type. Converts the value into "int" type. Converts the value into "uint" type. Converts the value into "long" type. Converts the value into "ulong" type. Converts the value into "float" type. Converts the value into "double" type. Converts the value into "decimal" type. Converts the value into "char" type. Converts the value into "string" type.